The UK has left me longing for more. More as in more Swissness. British milk won’t kill you (unlike the tragedy that befell those who trusted too much in Sanlu in late 2008), but I still preferred milk from my own bit of the planet, Switzerland. No, Emmi does not pay — and will not pay — a single Rappen for this blog. In actual fact, I prefer milk from the MIGROS, but when you’re in China and have only so much selection, you pick the Swiss-est of them all. And that to me meant Emmi. These now accompany my daily mix of corn flakes and my half a litre of milk, day in, day out, and the 250 ml ones accompany me whenever I do a day trip. I’m happy I found these in Beijing, because in London, for as much as work as I did finding Swissness at Sainsbury’s, M & S, and Waitrose (I deliberately shun Tesco as much as I can, and I never do Aldi, Lidl, or the like), I found only limited Swissness when it came to dairy products. I was a regular Onken yoghurt consumer, but as it had German roots, I wanted to look for something “more authentically Swiss”. And the only Swiss yoghurt you got were at Whole Foods, from a local dairy in Bischofszell (or thereabouts), Canton of St Gallen. You could easily forget what Waitrose passed off as its Number 1 choice for chocolate — I as a Swiss feel quite insulted that we weren’t picked (but the choice was made pre-Brexit, so they could always reconsider!). Tracy gets her bit of Swiss milk as well, and I personally think she is much better off trying the real dairy Swissness rather than what I think is still risking it with local equivalents. 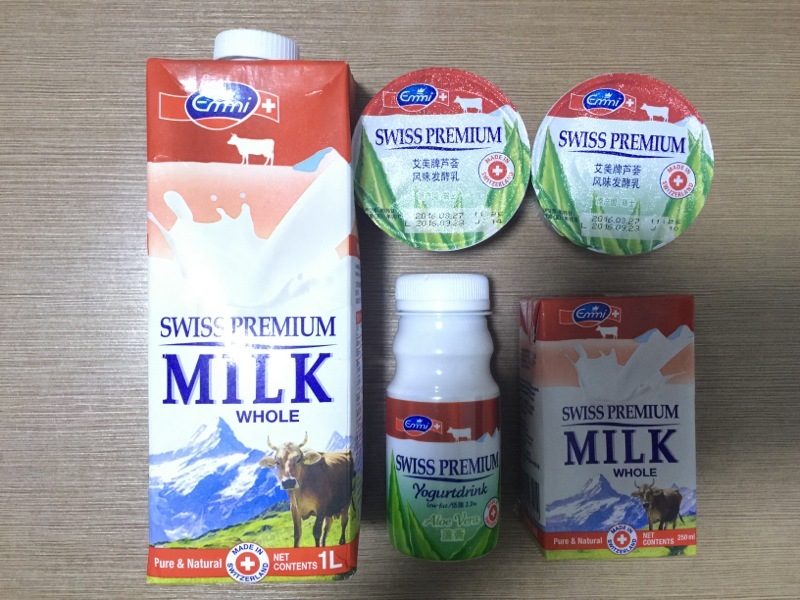 What’s funny is that Swiss dairy products are mostly available in Tier 1 cities only — a la Beijing and Shanghai (they appear Missing in Action even in Tianjin! ).